This handmade beaded bracelet measures 8 1/2", not including the barrel ring clasp. 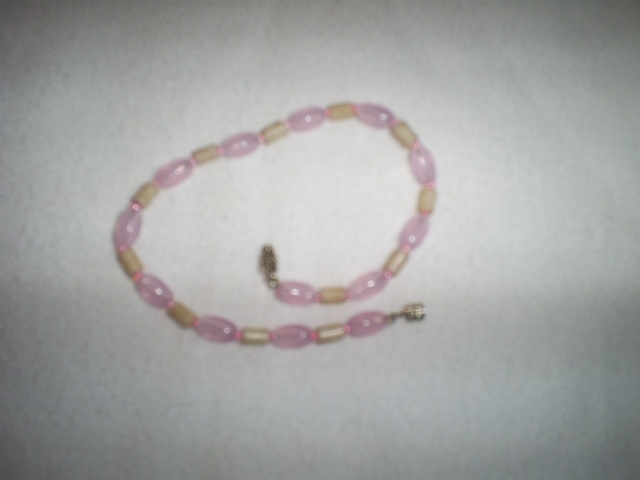 It has pink seed bead spacers with pink and ivory color beads. It is made with a very sturdy jewelry thread. Can be worn as bracelet, or ankle bracelet. My daughter makes these in between studies and work. Calming!! Very much in style now. If purchasing this handmade bracelet from outside the USA, please contact me for shipping calculation before invoice is made, so that I can adjust invoice. Thank you for your visit.